Relationships are a top priority for everyone at Big Rock Sports. The relationships we’ve built across the industry have been the key to our long-term success. Big Rock Sports services more than 15,000 fishing, ice fishing, hunting, shooting, camping and marine retailers in the United States, Canada, the Caribbean and eight other countries. We have developed a robust network of relationship builders—local sales representatives who understand the everyday needs of our customers across North America. What if someone made it easy for you to build brand awareness with retailers and consumers? What if a distributor made it easier for you to connect with retailers at the time of purchase? That’s exactly what Big Rock Sports does. We are uniquely positioned to bring outdoor sporting goods retailers and vendors together. Through the services we provide, including blogs and videos, we engage in daily conversation with our customers. 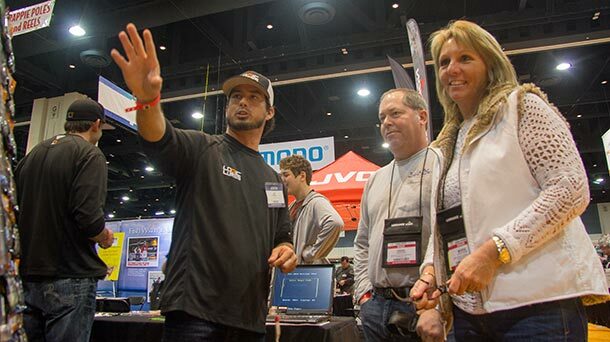 And most recently, Big Rock Sports introduced a new program that will connect retailers and vendors like never before. Why Become a Big Rock Vendor? Big Rock Sports is the largest outdoor sporting goods distributor in North America. We service more than 15,000 fishing, ice fishing, hunting, shooting, camping and marine retailers in the United States, Canada, the Caribbean and eight other countries. Because of this, we can offer an unparalleled opportunity for you to reach the most retailers through a variety of advertising venues. This is something you will only be able to get from Big Rock. BIG is an exclusive marketing program designed by Big Rock Sports to help companies advertise and promote their brands. We have multiple avenues you can use to capitalize on creating and maintaining your brand’s image and reputation among retailers. BIG will also give you inside access to end-consumers allowing you to reach them directly. Take a look at all of the opportunities we offer. Building a brand and maintaining its awareness is key to having prolonged success, and Big Rock can help you do just that. We have several areas in which you will be able to garner recognition for your brands and products. Timing is vital when it comes to sales. We have numerous ways that you can get your brands in front of retailers at the perfect time, when they are looking to buy. From catalogs to flyers to website ads, the promotions you can be a part of always reflect the season, and we make sure to target what people are buying and when. Who knows their products better than the retailers selling them? With these venues, you have the opportunity to allow retailers to become familiar with your brands, recognize their value and, most importantly, recommend them to customers.